In Windows 7, 8 or 8.1, a product key is needed to activate the operating system; whether it is clean installation or an upgrade. Windows 10 came with a new concept of the upgrade. The genuine windows users, who do an upgrade from Win7, 8 or 8.1 don’t need to enter a product key to activate. Win10, automatically find out the key during installation. Suppose, you face some problems after upgrade and want to clean install the Windows 10, then what’ll you do? 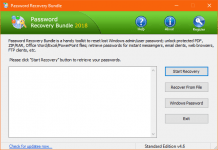 A clean asks to enter the product key to activate the Windows. So, you need to backup the key of your system. 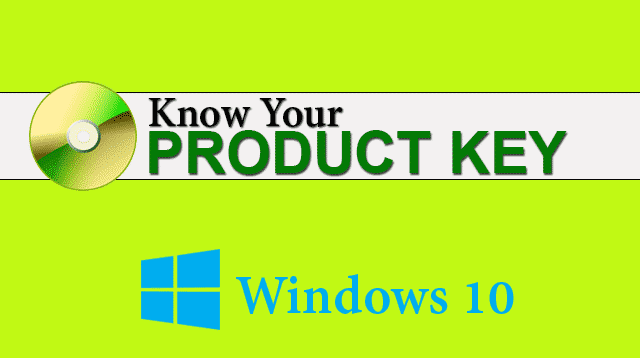 Here is the procedure to know your Windows 10 product key for further use. Here I have used two softwares to find out the license key of your system; one is ProduKey and another is Belarc Advisor. Let’s get started. 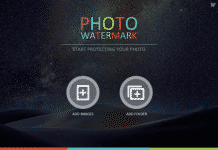 1) Go to the website and download ProduKey. The download links are at the bottom of the page. Scroll down to see the download links. Download the ZIP file and extract the contains into your system. 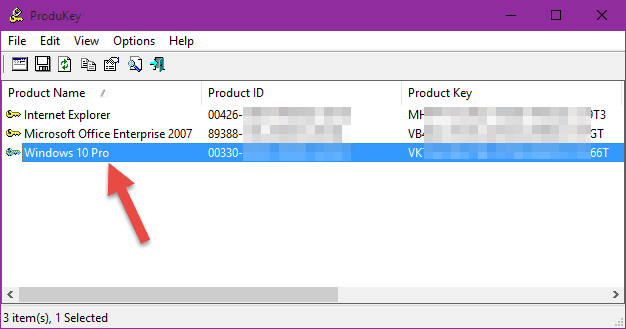 2) Just, run ProduKey.exe file to view your Windows 10 product key. 3) To copy the key, either Double-click on it or Right-click to copy the Product key. Belarc Advisor is a free program, who advises you about your software & hardware details, Antivirus, Security benchmark and many more. You can also know the product key using this. 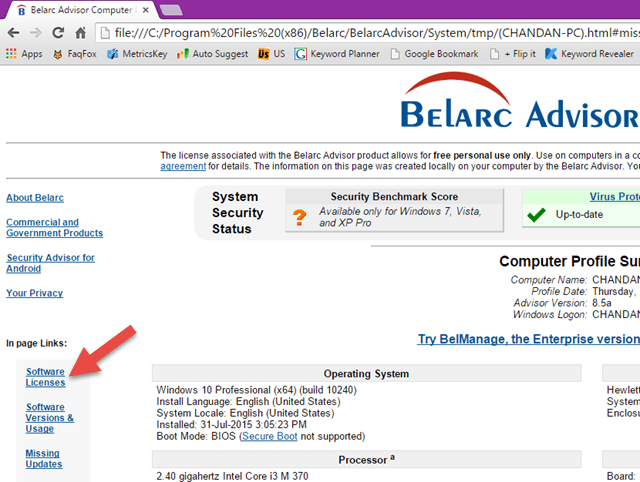 1) Download Belarc Advisor from its website and install it on your system. 2) After complete the installation process, open Belarc Advisor with administrative rights. 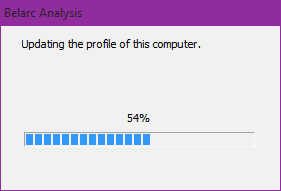 In the time of launching, the tool will automatically begin analysing your computer. 3) Once it analyses your system, it opens in your default browser. 4) From the left sidebar, click on Software Licenses. 5) Here you’ll get all the product keys of your installed programs. Find out and get your desired key. 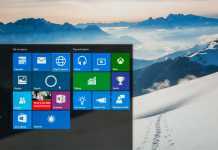 All these two software are small in size and very useful to know your Windows 10 product key. If you know another simple process, then please mention below. It worked perfect, When I used it after clean win 10 pro installation, my OS become activated So I was happy. But Now I wanted to transfer my key to another motherboard but Microsoft said that I can’t do that with OEM license. Can you tell me, How to do that. That is right, you can’t do that.